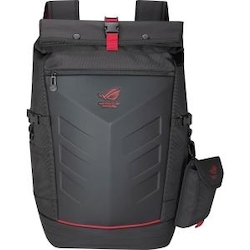 The ROG X-Ranger is a rugged, stylish backpack designed especially for gamers. Made of high-quality nylon, it includes a padded inside compartment for keeping up to a 17-inch notebook safe while you're on the move. It also has padded compartments and pockets for your gaming keyboard, headset, gaming mouse and other accessories. Ergonomic shoulder straps and a ventilated design ensure that you'll stay comfortable - even when carrying all your gear.